You do not need an orchard to grow enough fruit for the needs of the whole family. Espalier or fan trained apples, pears, plums, peaches, nectarines, apricots and cherries may be planted against a sunny house wall or garden fence. Kiwi fruits, blackberries, loganberries, boysenberries and tayberries can be grown as climbing ornamental plants on a trellis, and figs lend themselves to cultivation in a large container. In fact, all fruit trees and bushes, including black, red and white currants, blueberries and even strawberries can be planted in containers. They make ideal features for a patio - if space is tight and you want to grow apples and pears, look for 'family trees', which have two or more varieties that pollinate each other (this ensures a good and reliable crop) grafted onto the same rootstock. Fruit trees and soft fruit bushes should be given plenty of root room, so always use as large a container as you can find. Plant in John Innes No. 3 compost and make sure there are plenty of drainage holes in the base - raise the container on pot feet or bricks to prevent the drainage holes becoming blocked. Strawberries can be planted in hanging baskets, growing bags, strawberry barrels, troughs or window boxes. The most important thing is never to allow them to become short of water or food or the crop will suffer. Most fruit trees and bushes are available as container grown plants so they can be planted at any time of the year, but some nurseries still sell bare root or root-balled stock, in which case you should complete planting by the end of March or early April at the latest. Fruit trees are always grafted or budded onto a rootstock that slows up growth to make a compact tree and encourages early fruiting. Always leave the graft (the knobbly bit near the base of the trunk) above soil level when planting, regardless of whether you are growing the fruit tree in the open ground or in a pot; covering the graft or budding union with soil will cancel out the early fruiting and dwarfing effect of the rootstock as additional roots will be produced further up the stem. Do not be in too much of a hurry to sow vegetable seeds in spring. Most seeds will not germinate if the soil is too cold, and if it is wet, it may actually rot before it starts to grow. You will not lose time by waiting until the air and soil have warmed up in April as the plants will soon catch up. If you are in a real hurry to see some action, cover the earth with black polythene for a week or two before making your seed beds, but if the weather is still chilly, you will need to cover your seeds with fleece to prevent the soil cooling off again. Vegetables can be grown very successfully in containers and raised beds. This gives the opportunity to have a good growing medium regardless of the soil conditions in your garden. 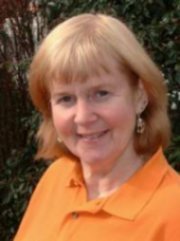 The most suitable vegetables for containers are those which are expensive to buy, like salads (especially those containing unusual varieties), early carrots, French and dwarf runner beans, miniature cauliflowers and early potatoes. Use containers or raised bed walls which have good insulation properties so the roots do not get chilled or overheated. Link-a-Bord planks which are made from extruded, recycled uPVC are ideal for this purpose, and can be joined together to make any size of tub or raised bed in a variety of discreet and jazzy colours; if you want to rearrange your beds, they can be dismantled, moved and re-erected as many times as you like. A multi-purpose, soilless compost is quite suitable for container vegetable growing, but needs to be replaced regularly. The spent compost can be spread elsewhere in the garden as a mulch, or used as a soil conditioner. Raised beds need a more substantial growing medium as they will produce crops for many years in the same soil providing you add plenty of compost or farmyard manure on a regular basis and fertilise regularly. 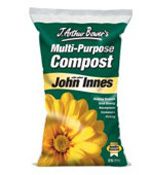 You can either use your own garden soil, or buy in good topsoil or John Innes No 3 compost from the garden centre. You need to research your seed varieties carefully if you are growing vegetables in a small space, as some of them take up too much space. The seed racks in garden centres and other retail outlets may not contain these more specialist varieties, so obtain a catalogue from a specialist supplier (e.g. Thompson and Morgan or Mr Fothergill) and make a list of all your requirements before sending off an order. You will find the catalogue descriptions helpful, and most vegetable seed catalogues now contain a section on mini-vegetables for the small plot or container grower. Over the next year this site will show you how to get a substantial number of popular vegetables from a raised bed 2m wide by 3m long by 30cm high, so visit this site regularly. Winter and early spring are good times to plant fruit trees, both in containers and in the open ground. Cordon-trained apples and pears are an ideal way of growing a lot of different varieties in a small space, as they can be positioned less than 1 metre apart. 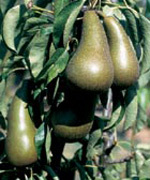 The fruit is produced on spurs close to the trunk, and pruning is done in summer by cutting all the new growth back to two leaves from the original spurs. Cordon trees are usually trained on a wall, fence or on a framework of posts and wires, and are set at an angle of 45º to the vertical, so as they grow they can be retrained at a greater angle, enabling you to produce longer trunks and therefore a greater quantity of fruit. However, cordons can be planted vertically as single-branched trees to make a mini-orchard or specimen features; pruning is the same. Rhubarb is a high-yielding plant that can yield delicious stems from spring until the end of July. Always plant more than one crown so you do not weaken any plant by pulling too many stalks at a time. Crowns are available in garden centres from late winter until the spring, or you can split existing plants into many smaller ones. Rhubarb needs well-drained but moist, fertile soil and a position in full sun; add bone meal and farmyard manure or well-rotted compost when planting and keep the plants well watered at all times, especially when new. Feed regularly with Growmore fertiliser or blood, fish and bone regularly throughout the growing season. You can obtain early stalks of blanched rhubarb by covering a plant with a terracotta rhubarb blancher or an upturned bucket. Once you have finished picking the blanched stalks, remove the cover and allow the stems to grow again naturally. Do not pick any more stalks that season so the plant can recover.